If it's many years ago, it's possible it could have been Hippo - I don't think casper offers a system like that. Either way, I'd honestly just recommend you go for the stall rental method with a prim limit and implement a rule set. Should commercial ventures and estates in SL be allowed to discriminate? Damnit Donna, not this thread again. Perhaps chase some new interests, this has been my approach in the past 13 years and it typically turns up new friends. You don't have to be particularly interested in the subject but get interested in the people who make it up; get curious as to why they like it. Hope ya find the people you're looking for. That's a lot to ask for, I myself use 'Voir furry female AO' with my kobold, but there's nothing specifically dedicated to the issues you're facing I'm afraid. It's a pain, I'm aware. Current Status: Open for small projects, larger project slots currently filled - quotes will be responded to for projects over the current slot limit. Hello, I'm offering services for custom mesh under a few guidelines and rules: - I have a few limits on what can and cannot be done, best thing to do is contact me and I can give you more than a yes or no. - A dedicated scripter is available for projects requiring such. - NSFW is fine, I take pride in the work I'm doing regardless (Within TOS, Laws and common sense). - All items come with a full, final commission price, no more is paid upon agreement (additional requests made after payment are accepted as new commissions) - Be timely with our correspondence (Larger projects especially, you will still be charged for agreed hours) and make fair attempt to make me aware of any time you will be away for, as will I. - I offer graphics design to a lesser extent, this typically depends on what you need. Find out more about inZoxi and pricing: Site, Sketchfab Page, store front, these include samples of my work, you can also attain a viewing by contacting me in world, details below on how to do that. What do you need from me? First of all, visit inzoxi.co.uk for pricing, if you're all set from there then go ahead and send me either a notecard in-world or an email with a basic overview of your project and any references (images) you can provide me with, we will work out a final total from there. 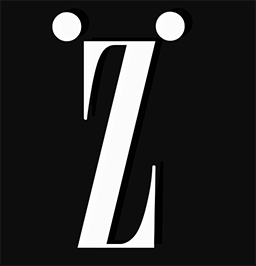 I won't be responding to any messages on this forum, please contact me either via email (hello@inzoxi.co.uk) or in-world at Zoxin Resident. What happens if you cannot complete my commission? You will be paid back what you have paid in (be it half or full) if I cannot complete your request - I've got better ways of making money than being a con artist. Please appreciate that these things do happen and may be able to re-accept your request at a later date. Any other potential questions may be answered through our commission agreement page. Thanks for your interest, Zoxin (Inworld Profile) inZoxi Creator. Do you need custom mesh? Current Status: Open for small projects, larger project slots currently filled - quotes will be responded to for projects over the current slot limit. Hello, I'm offering services for custom mesh under a few guidelines and rules: - I have a few limits on what can and cannot be done, best thing to do is contact me and I can give you more than a yes or no. - NSFW is fine, I take pride in the work I'm doing regardless (Within TOS, Laws and common sense). - All items come with a full, final commission price, no more is paid upon agreement (additional requests made after payment are accepted as new commissions) - Exclusive items have an additional fee, otherwise all rights belong to me and I have the ability to do what I see fit with the item in question. - Be timely with our correspondence (Larger projects especially, you will still be charged for agreed hours) and make fair attempt to make me aware of any time you will be away for, as will I. - I offer graphics design to a lesser extent, this typically depends on what you need. Find out more about inZoxi and pricing: Site, Sketchfab Page, store front, these include samples of my work, you can also attain a viewing by contacting me in world, details below on how to do that. What do you need from me? First of all, visit inzoxi.co.uk for pricing, if you're all set from there then go ahead and send me either a notecard in-world or an email with a basic overview of your project and any references (images) you can provide me with, we will work out a final total from there. I won't be responding to any messages on this forum, please contact me either via email (hello@inzoxi.co.uk) or in-world at Zoxin Resident. What happens if you cannot complete my commission? You will be paid back what you have paid in (be it half or full) if I cannot complete your request - I've got better ways of making money than being a con artist. Please appreciate that these things do happen and may be able to re-accept your request at a later date. Thanks for your interest, Zoxin (Inworld Profile) inZoxi Creator. Honestly this is the best place for it. Given we're not in the same market, I can't provide you with specifics. As for rentals just type in mall and go wild with anything that seems relevant, take a look around for rental spots going spare (or low on the rent meter). If ya wanna be a host, probably best to go to some clubs and pay attention to what a host does, maybe politely ask if you could question them over a few things regarding the job itself. Hell, make a friend outta them. Typically though, I find people naturally have the personality to do hosting. 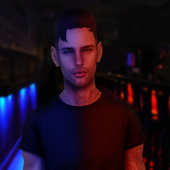 The idea that there's no security jobs in SL isn't entirely true, guards are hired in many strip joints/casual clubs for A. Creating the club atmosphere (yes, potential 'negatives' still build on an atmosphere), B. Roleplay purposes and C. When owners aren't about to manage the club, they hire security to keep it free of trolls/griefers/disruptive patrons ...yes it's not a typical RL security job of 'watching the cameras and doing patrols', but involves much of dealing with the same stuff. You could also find a job being a Customer Service Representative, learning the company product and helping customers with questions, that would also help in the long term toward your goal of being a host as you get to know how people tick. Please do not contact me with intentions of being my middleman for sales - I will never need you. Hello, I'm offering services for custom mesh under a few guidelines and rules: - I have a few limits on what can and cannot be done, best thing to do is contact me and I can give you more than a yes or no. - NSFW is fine, I take pride in the work I'm doing regardless (Within TOS, Laws and common sense). - All items come with a full, final commission price, no more is paid upon agreement (additional requests made after payment are accepted as new commissions) - Exclusive items have an additional fee, otherwise all rights belong to me and I have the ability to do what I see fit with the item in question. - Be timely with our correspondence (Larger projects especially, you will still be charged for agreed hours) and make fair attempt to make me aware of any time you will be away for, as will I. - I offer graphics design to a lesser extent, this typically depends on what you need. Find out more about inZoxi and pricing: Site, Sketchfab Page, store front, these include samples of my work, you can also attain a viewing by contacting me in world, details below on how to do that. What do you need from me? First of all, visit inzoxi.co.uk for pricing, if you're all set from there then go ahead and send me either a notecard in-world or an email with a basic overview of your project and any references (images) you can provide me with, we will work out a final total from there. I won't be responding to any messages on this forum, please contact me either via email (hello@inzoxi.co.uk) or in-world at Zoxin Resident. What happens if you cannot complete my commission? You will be paid back what you have paid in (be it half or full) if I cannot complete your request - I've got better ways of making money than being a con artist. Please appreciate that these things do happen and may be able to re-accept your request at a later date. Thanks for your interest, Zoxin (Inworld Profile) inZoxi Creator. If you're wanting a human avatar, you've got enough options that I'd just tell you to go buy a "high-end" body mesh and browse the huge catalogue that is the marketplace for customisation options. There's plenty of blogs and people who will help you out with wise spending when it comes to buying a body with longevity in regards to support, though. On the flipside, if you're looking for something you can't find (such as specific furry avatars, various accessories etc), you'd be better suited to posting in the wanted section under commerce so creators like myself can give you a hand. Privacy Issues: Can Resident of places know your real IP Address? Have you tried not going to that place and bothering the owner? It's also likely they could have put the access list on so you can't get in there regardless of if you're on the ban list or not; you need to be on the access list. Everyone can provide knowledge mate, what's your project? Could try club security I guess, though you'd really have to jump around for it. Entirely possible though.